Even the Justice League director is into cosplay! 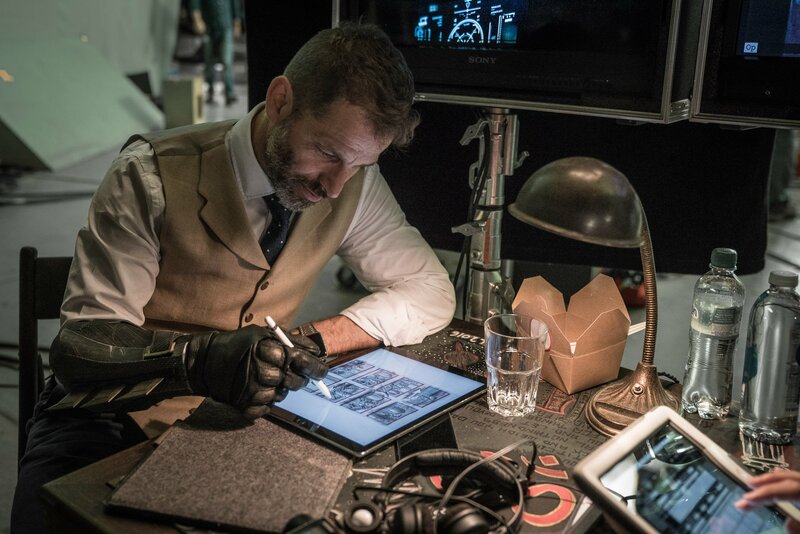 Zack Snyder just shared a photo of himself wearing Ben Affleck’s Batman gauntlet while making some notes to a movie storyboard on an iPad. Batman News has a hi-res version of the photo above for you, and if you look closely you can see that the scene Snyder is working on involves Deathstroke! Now the big question… is Deathstroke actually in Justice League, or is Zack Snyder just helping Ben Affleck with his Batman movie? What do you think is going on here? Sound off in the comments below!